Financial institutions and treasury departments typically subscribe to positive pay services to limit fraud exposure on corporate accounts. The majority of positive pay systems only match on serial and amount fields, leaving a “check theft” alteration undetected. 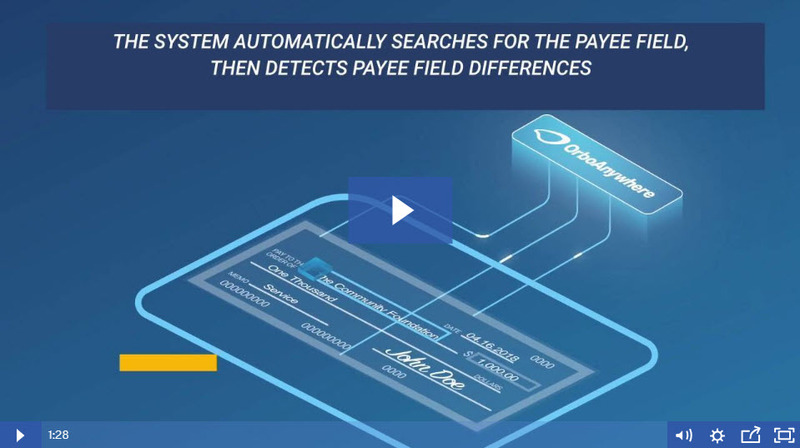 With Anywhere Positive Pay, the system searches for payee alterations by both reading the payee as well as searching for payee replacements and payee edits, including “and/or” additions to the printed payee field. OrboGraph stills supports the Desktop Check Analyzer (DCA) application as a way to verify document quality and field usability on business checks. The purpose is to ensure the format and background of the images are conducive for automated recognition processing of Anywhere Positive Pay.